AKIPRESS.COM - The two-week-old snake was born with two distinct heads. The heads emerge from one shared body, extending just a few centimeters from the fork in its neck. Each head lucidly examines their (or its) environment, flicking two distinct tongues through the air. 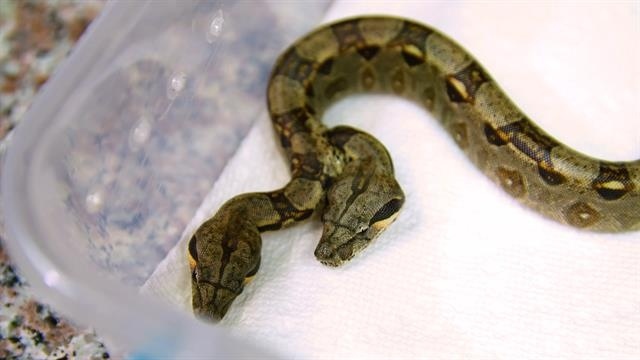 The snake (or snakes) was brought to celebrity vet Dr. K, short for Dr. Susan Kelleher, who owns an exotic animal care practice in southern Florida. The vet, and the bizarre cases she treats, are the subject of the National Geographic Wild TV show Dr. K., National Geographic reported.